Jason Janes didn't want a BBQ brush bristle stuck in his throat, so he came up with his own homegrown scraper that has led to a business on the verge of booming. Jason Janes really loves to barbecue. 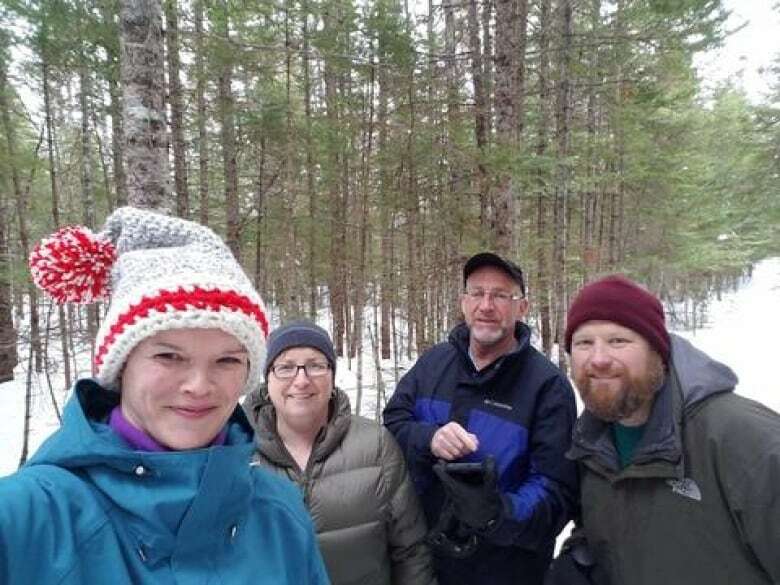 He can be found behind one of the three outside grills at his home in the Humber Valley on Newfoundland's west coast a few times a week, and he keeps things sizzling all year long. "I love things that are low and slow," he said, describing his favourite dish — pulled pork with smoked macaroni and cheese. So when Janes saw stories in the news about the dangers of wire bristles from barbecue brushes becoming embedded in people's throats, he hit the hardware store. 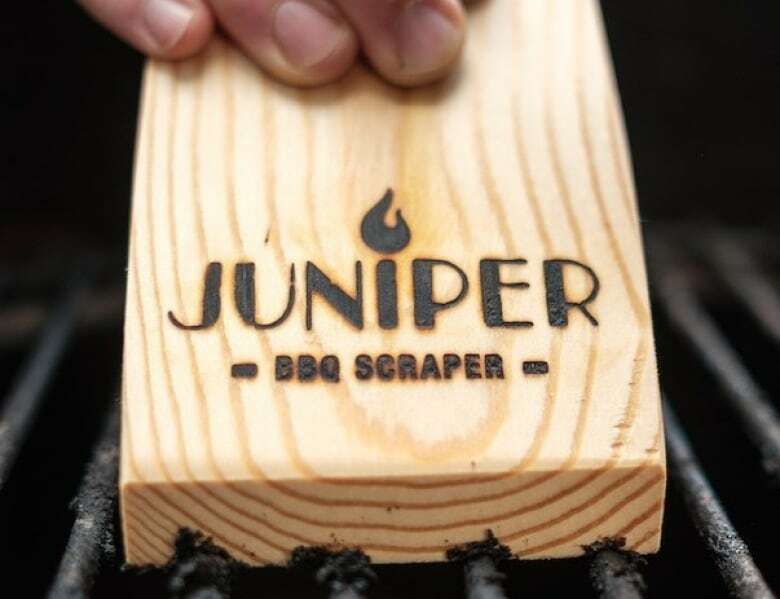 Janes said he didn't have much luck finding a safer alternative, and the cedar shakes he was using to scrape the grill in the meantime were wearing out too quickly. "I said, 'Geez, this is a bit of a nuisance,' so I called up my dad and said, 'Do you have a piece of juniper?'" That's when he hit upon what just might become a million-dollar idea. Janes knew juniper is hard and durable and lasts a long time in the wood stove, so he carved a piece into a scraper. He was so impressed with his invention he posted a picture on social media to see if anyone else would want one, and then went on vacation for a couple of weeks. When he got back there were hundreds of replies. The former tech entrepreneur now manufactures scrapers from his home garage, selling 5,000 in the first six months. The choice of tamarack, which is commonly referred to as juniper in Newfoundland and Labrador, is key. "It's just so beautiful. Every single piece is unique. It's like a piece of art," he said. "And because it has a very high heat resistance it doesn't burn as fast on the barbecue and will last longer than cedar … Also there's no such thing as Newfoundland cedar — it doesn't exist here. This is a local product. If it's cedar it's imported." Janes works in advance with the local harvesters who supply the pulp and paper mill in Corner Brook, and buys the juniper by the tractor trailer load. 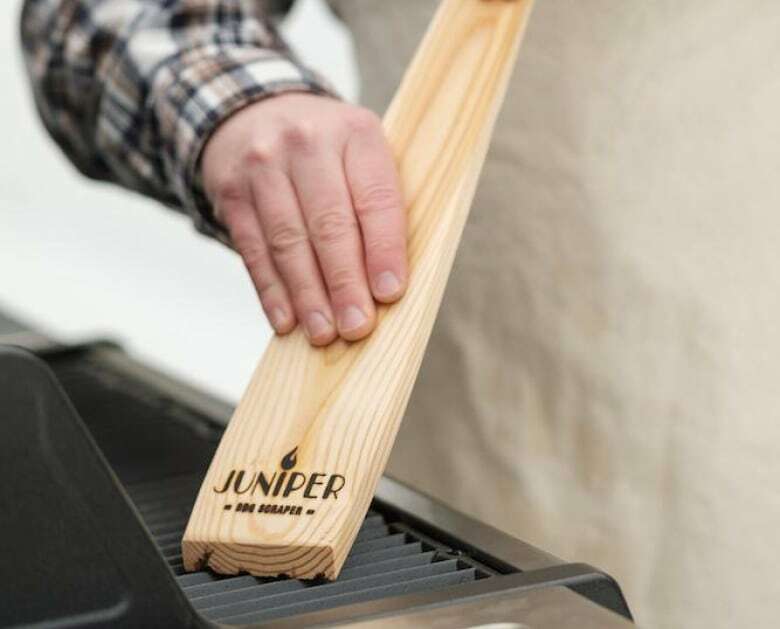 Janes said any splinters from his scraper, unlike wire bristles or pieces of bamboo that get caught on the grill and stuck in the food, will simply burn up. "If a splinter comes off this thing it just burns. It becomes smoke and flavour to the food." The budding business — which started with the first prototype in May 2017 — is a family affair. Janes's wife Jackie helps with shipping. His dad, Bern, pitches in on production when it's busy, and his mother, Lynn, hand-cut and sewed the straps for the first 1,000 units from old thrift-store leather jackets. "We've well outgrown that," said Janes. 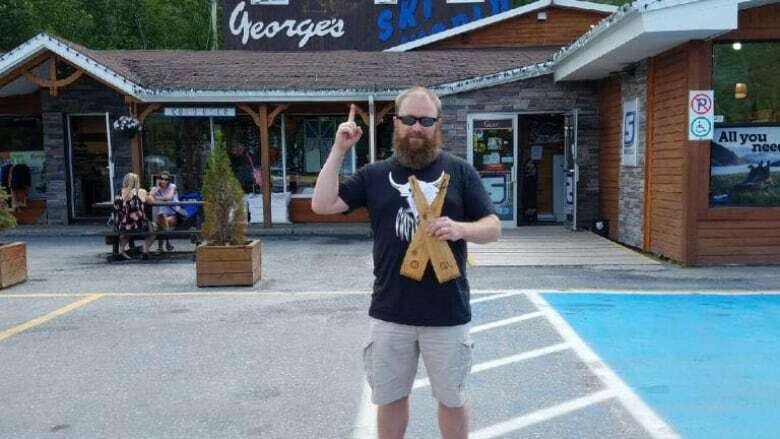 The scrapers are now available in 60 retail outlets throughout Newfoundland and Labrador, and a national distribution with a big chain is in the works. 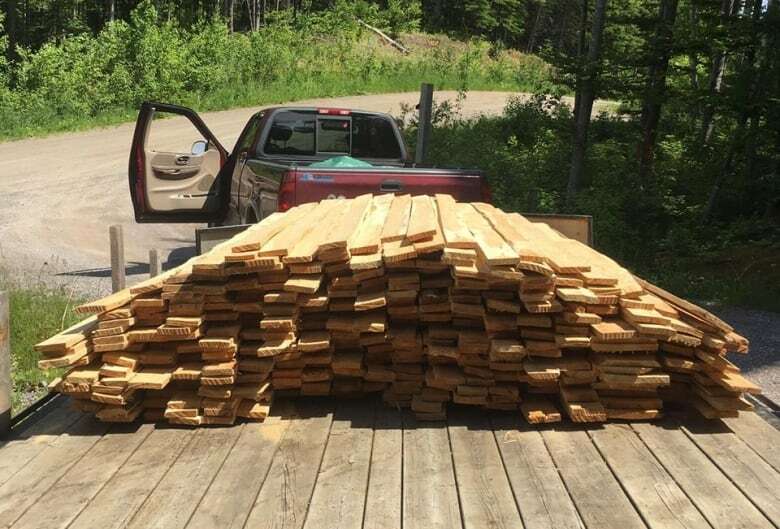 Janes also sells from his website and has shipped scrapers across Canada and the U.S., as well as to the Caribbean and the U.K.
"We can feel it. It's here. I've been involved in a lot of startups over the years, and the ones that take off you can start to feel something when it's about to happen. You can sense it," he said. "It was a hobby and now it's starting to feel like a business. I feel that we're right on the verge of that. That's the part that I love."